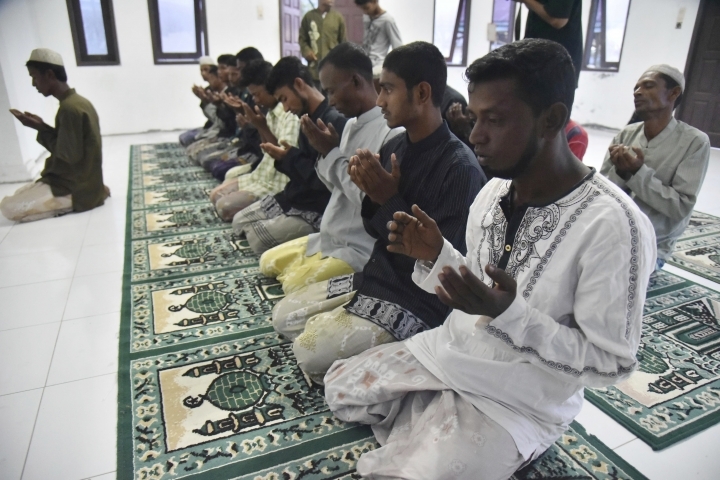 BIREUEN, Indonesia — A Rohingya Muslim man among the group of 76 rescued in Indonesian waters in a wooden boat says they were at sea for nine days after leaving Myanmar, where the minority group faces intense persecution, and were hoping to reach Malaysia. 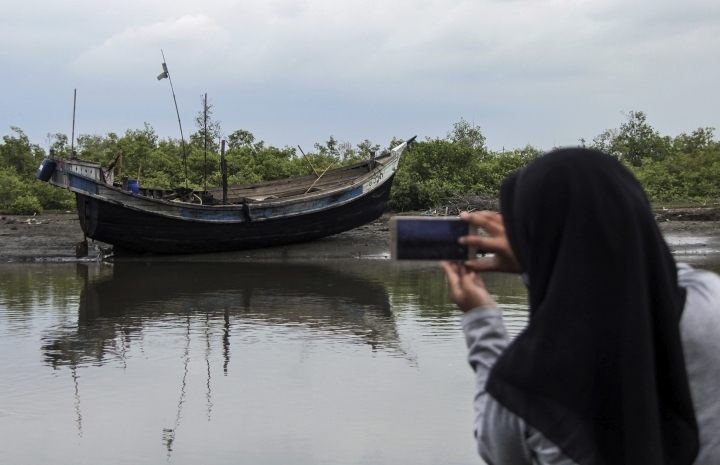 The eight children, 25 women and 43 men were brought ashore on Friday afternoon at Bireuen in Aceh province on the island of Sumatra, the third known attempt by members of the ethnic minority to escape Myanmar by sea this month. Several required medical attention for dehydration and exhaustion, local authorities said. Fariq Muhammad said he paid the equivalent of about $150 for a place on the boat that left from Myanmar's Rakhine state, where a violent military crackdown on the minority group has sparked an exodus of some 700,000 refugees over land into neighboring Bangladesh since August. The refugee vessel was intercepted by a Thai navy frigate and later escorted by a Thai patrol vessel until sighting land, said Fariq. The group believed the Thais understood they wanted to reach Malaysia and were dismayed when they realized they were in Indonesia, said Fariq, who gave the identification numbers of the Thai vessels. "We were forced to leave because we could not stay, could not work so our lives became difficult in Myanmar. Our identity card was not given so we were forced to go," he told The Associated Press on Saturday. Local officials and a charitable group are providing shelter and food for the refugees. 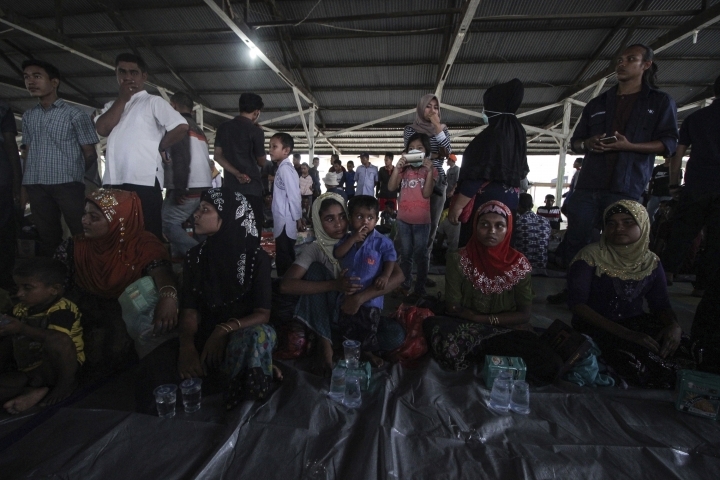 The International Organization for Migration said it has sent a team from its Medan office in Sumatra, including Rohingya interpreters, to help local officials with humanitarian assistance. Rohingya, treated as undesirables in predominantly Buddhist Myanmar and denied citizenship, used to flee by sea by the thousands each year until security in Myanmar was tightened after a surge of refugees in 2015 caused regional alarm. In April, there has been an apparent increase in Rohingya attempts to leave the country by sea. 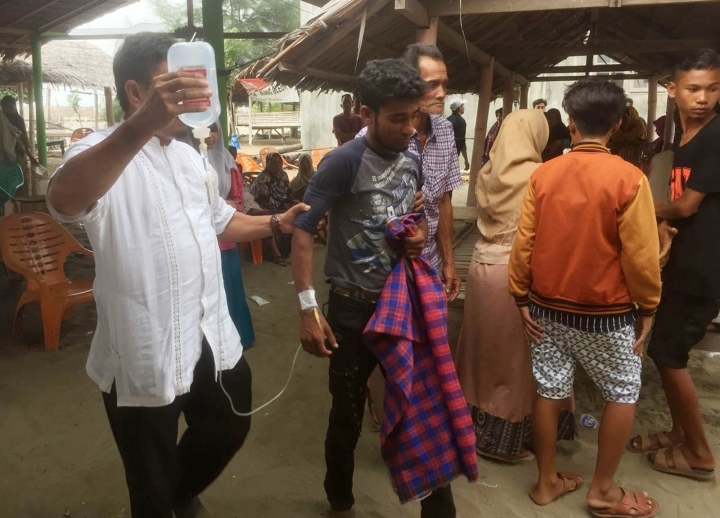 An Indonesian fishing boat rescued a group of five Rohingya in weak condition off westernmost Aceh province on April 6, after a 20-day voyage in which five other people died. Just days before, Malaysian authorities intercepted a vessel carrying 56 people believed to be Rohingya refugees and brought the vessel and its passengers to shore. 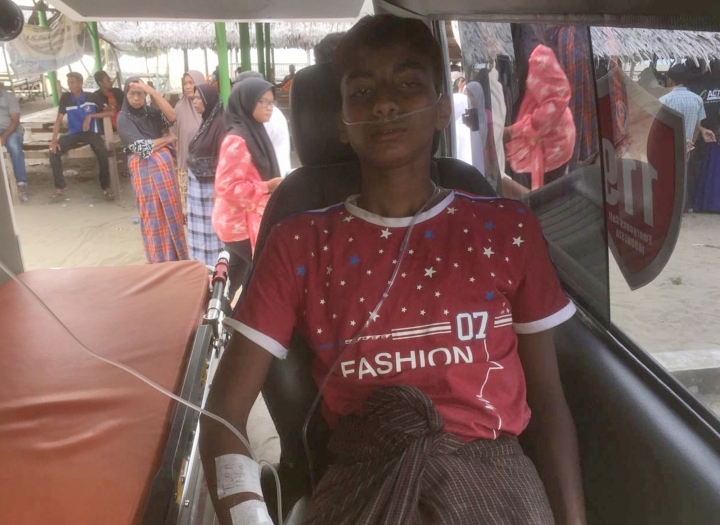 Mohammad Saleem, part of the group that landed Friday in Aceh, said they left from Sittwe in Rakhine state, the location of displacement camps for Rohingya set up following attacks in 2012 by Buddhist mobs. "We're not allowed to do anything. We don't have a livelihood," the 25-year-old said. "We can only live in the camps with not enough food to eat there. We have no rights there." Jatmiko reported from Jakarta, Indonesia. Associated Press writers Ali Kotarumalos in Jakarta and Esther Htusan contributed to this report.